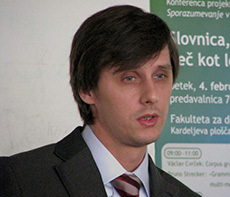 On 4 February 2011, the conference "Grammar, more than just a system" took place at the Faculty of Social Sciences in Ljubljana. Conference talks were recorded and are available at Videolectures.net, the materials presented by the speakers are also available at the links below. 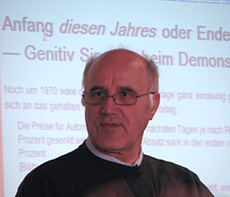 Public discussion began with a presentation by Jure Zupan: A net-like dictionary of verb senses. The presentation was followed by public discussion.